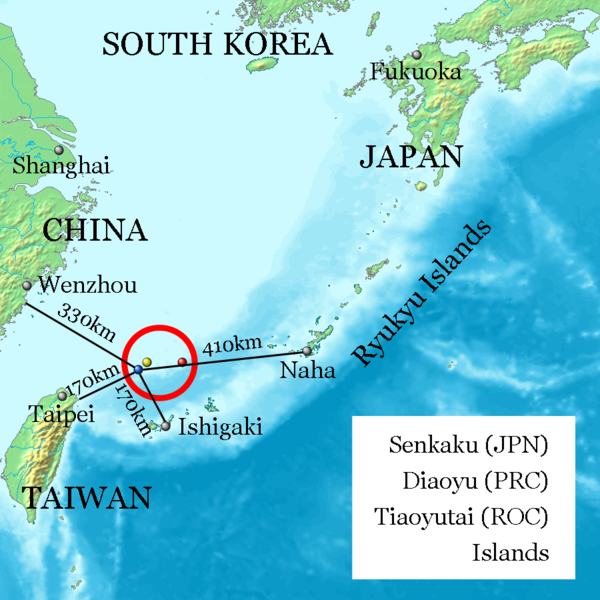 510 years there is a tug of war between China and Japan for a small archipelago of islands uninhabited Senkatu ( in Japanese ) or Diaoyudao ( in Chinese ) that lie between Taiwan and Japan and China. If these islands were of little importance until a few years ago, now with the discovery of huge deposits of oil and gas, which are around these islands , everything has changed . The Republic of China wants the islands , Taiwan wants the islands, but for the moment are controlled by Japan, although China has recently declared its surrounding airspace . For this reason, yesterday , 2 American B52 bombers flew over these islands , dragging the ire of Beijing . Now what will happen ? We do not know , this dispute between China and Japan is quite complex, but the fact remains that the recently discovered sources of energy are very important both for the Chinese economy to that of the eastern and western oil multinationals that certainly will push the respective nations to take possession in one way or another of these islands . World War III is starting from Syria? War in Iran to save World Economy?